Things happen in life that cause pain, but that does not mean you have to stay in pain. Our goal is to use the tools and techniques in our repertoire to help relieve pain, improve function and performance, and teach people how to keep themselves that way. I love helping people. When patients come see me, I believe it is important to teach them habits and movements they can use on a daily basis to help keep themselves functioning optimally. 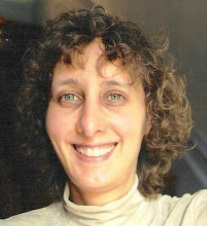 Kathleen Favaloro has been recognized as one of the top Great Barrington Chiropractic practices. "Why didn't my doctor tell me this?" That's the phrase I hear every day from my patients who have been everywhere, seeking relief and respite from pain in their back, neck, shoulder, knee, hip, foot, carpal tunnel or from headache pain. At age 16, a spinal cord injury fractured 4 of my cervical vertebrae, and I was temporary paralyzed from the neck down. That's when I discovered what I would do with my life: I would help people in pain! I have been in the healing field for over 30 years. I began my professional career as a Physical Therapist working in Rehabilitation Centers, Nursing Homes and Acute Care Hospitals. Then I added Shiatsu and Cranial Sacral Therapy before also becoming a Doctor of Chiropractic. I treat patients of all ages using an integration of soft tissue work, exercise, and SCENAR anti-inflammation biofeedback work to provide a unique bio-mechanical approach to gently align the spine, relieve pain, relax the muscles, and strengthen the body. To help people with acute and chronic pain to find relief from their back, neck, hip, knee, and shoulder pain. To help people regain their strength, motion, and ability to function in their lives with better posture, and improved body mechanics. To teach people proper exercises to prevent injury. To teach people the importance of proper sitting, standing and sleeping postures. To teach people simple home first aid for pain including headaches and injuries. 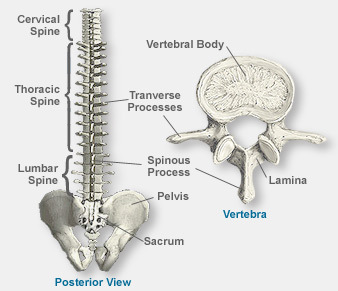 To help people to understand how the spine and the discs work.